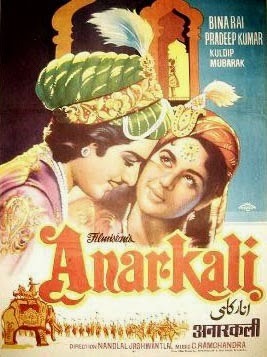 The film had total 12 songs, with 11 composed by C Ramchandra and 1 by Basant Prakash. This film was a musical hit. The first ever 'Binaca Geetmala' Annual Program of 1953 - saw "Ye Zindagi usiki hai" catapulted to the No. 1 position. This song came in parts in the film. The first two stanzas were when the lovers happy in each others company. 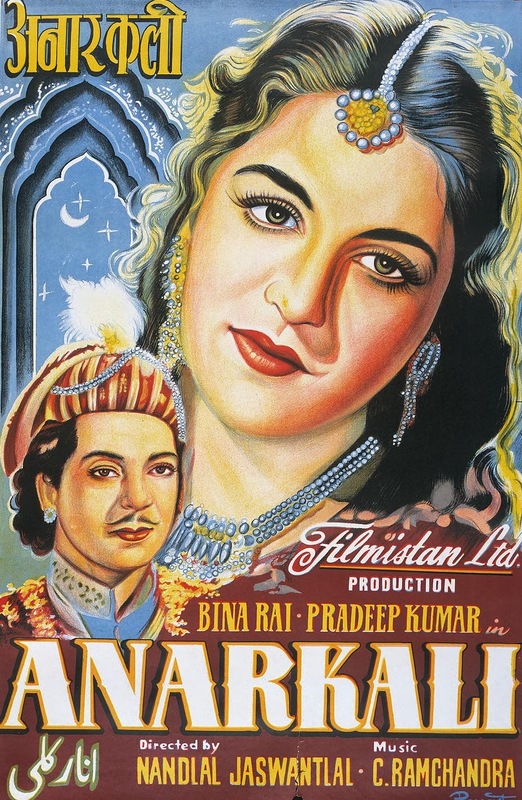 The 3 rd stanza - jo dil yahan na mil sake signalled their despair and separation, while the last 2 were of unrequited love, when Anarkali was being cemented into a wall on all sides. Lata Mangeshkar gave her soul in singing this song. There were other beautiful songs too other than the above viz. 1. Jaag dard isk jaag [Lata Mangeshkar and Hemant Kumar]; 2. Aaja ab to aaja [Lata Mangeshkar- lyricist Shaillendra]; 3. Mohabbat aisi dhadkan hai [Lata Mangeshkar] 4. Muzse mat puch mere ishq mein kya rakkha hai [Lata Mangeshkar] ; 5. Muhabbat mein aise kadam dagmagaye [Lata Mangeshkar] ; 6. Dua kar ghame dil khuda se dua kar [Lata Mangeshkar]. Altogether 4 lyricist were involved in writing the songs - with Shailendra, Hasrat and Jan Nissar Akhtar penning 1 each, while the rest were written by Rajinder Krishan. This Filmistan produced film, went on to establish 'Filmistan' as a leading production house of repute. Great write up and a good beginning Dilip Apte Sahab. I will keep looking at this blog more often. rejuvenate my soul. The very "atmaa" those old stalwarts poured and laboured to give birth a song is almost impossible to fathom out by today's generation. It's just another world. Old melodies are a treasure trove for music lovers. One's appetite for more and more musical delicacies of yester years never gets satiated.